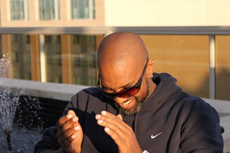 Born and raised on the south side of Chicago, the birthplace of house music, Paul Johnson, started making waves in the music community at the early age of thirteen. In the summer of 1984, Paul Johnson taught himself how to spin after watching his cousin Marc spin and scratch in his bedroom. As a self taught artist, Paul's pulsating energy and passion are apparent in all his work. In high school while his peers were holding down after school jobs, Paul was a popular radio DJ. Raw talent, dedication and a deep love for house music have made Paul Johnson one of the most sought after DJ's in the world. 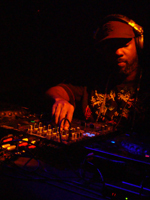 Paul Johnson's musical resume is both extensive and impressive; he released his first record in 1990 titled, "Overload" on Dance Mania Records. During this time, Paul quickly made a name for himself as a producer, responsible for many of the now famous DJ/Producers that we all know and love. Paul's innovative and inspiring production work gained industry recognition as the go to guy. Paul has released over 200 E.P's himself as well as a vast amount of music for some of the most consistently underground dance labels, all prior to signing with Peacefrog Records. Paul also boasts 12" releases on the likes of Cajual / Relief and Dance Mania which led to his debut album release, "Bump Talkin", in 1994. "Bump Talkin" and the follow up release, "Feel The Music", became two of the most talked about releases of their time. 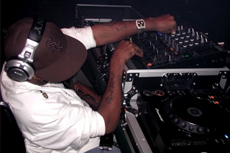 In 1998, Paul Johnson released his dance floor killer "Get Get Down" which sold over 3 million copies worldwide. "Get Get Down" was an international mega hit; its smooth melodic beats could be heard in clubs from Chicago to Ibiza, quickly gaining crossover success. Paul achieved record book notoriety, earning him a spot in the Guinness Book of World Records, for the most said word in a song. "Get Get Down" was also licensed on more than 100 CD and house compilations worldwide. Since good music stands the test of time, "Get Get Down" still has an infectious body moving effect on dance floors all over the world. With Paul Johnson you receive electrifying performances and an unwavering commitment to excellence crediting him the respect of both fans and peers alike. 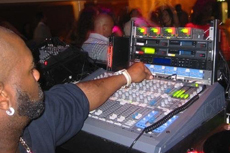 Paul Johnson unsurpassed crowd pleasing capabilities have made him one of the best DJ's to come out of Chicago, packing dance floors all over the planet. This living legend doesn't seem ready to stop anytime soon, his remix work for Destiny's Child, Jon B, Ce Ce Peniston, Daft Punk, D.J Sneak, K-Alexi, Stacy Kidd, Joey Beltram, Green Velvet, Armando and Ron Trent, just to name a few have made its way into all the big jocks boxes and remain there to this day. His distinctive rhythmic and soulful sound is what keeps house music fans craving for more. As a seasoned artist, Paul Johnson has released singles which all have made it to many countries top 50 billboard's and higher. Continuing to do what he was born to do, in February 2010 Paul released "Sound of P.J." on Mindtravel Recordings Italy and "World Feel It - So Much" on Sonrisa Records Australia. His latest releases are already satisfying his enormous yet growing fan base and are being played in clubs nationwide. "He's a hit making machine" say's Yello Records CEO Bob Sinclair and he's shown so many artists the way. Much respect to everything that Paul Johnson has done and is going to do for house music.